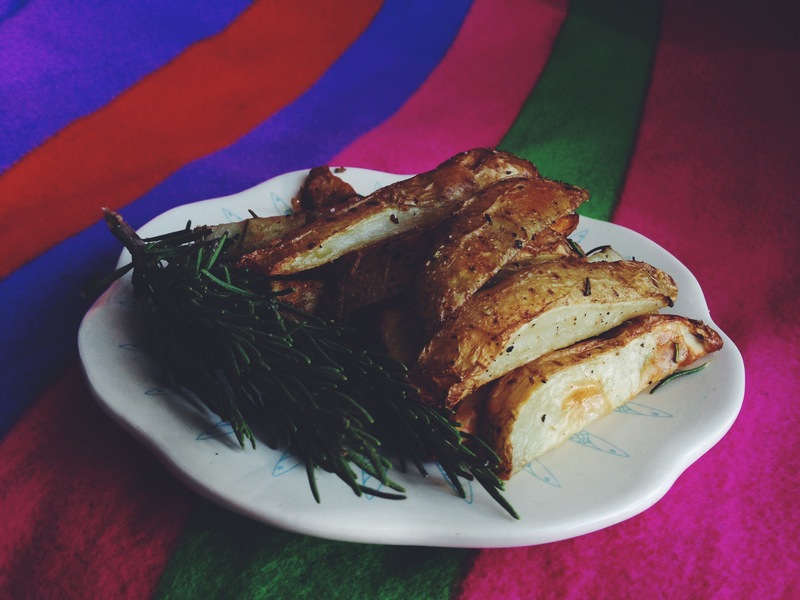 This is my second recipe for my 3 part Rosemary Appreciation recipe series! Check out the first recipe for Rosemary Rice Krispies Treats by following this link! 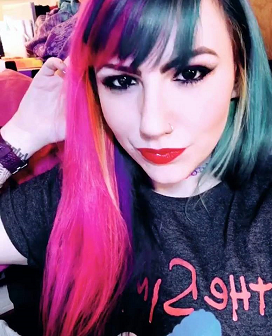 I tell people that I have the palate of a five year old because my favorite foods include macaroni and cheese and steak fries. My list of favorites reads more like a kid’s menu than that of a cultured adult, so one of my favorite things to do is take foods that are generally thought of as being really great for small children and “fancying” them up with herbs and spices that are more suitable to a grown up’s sensibilities! 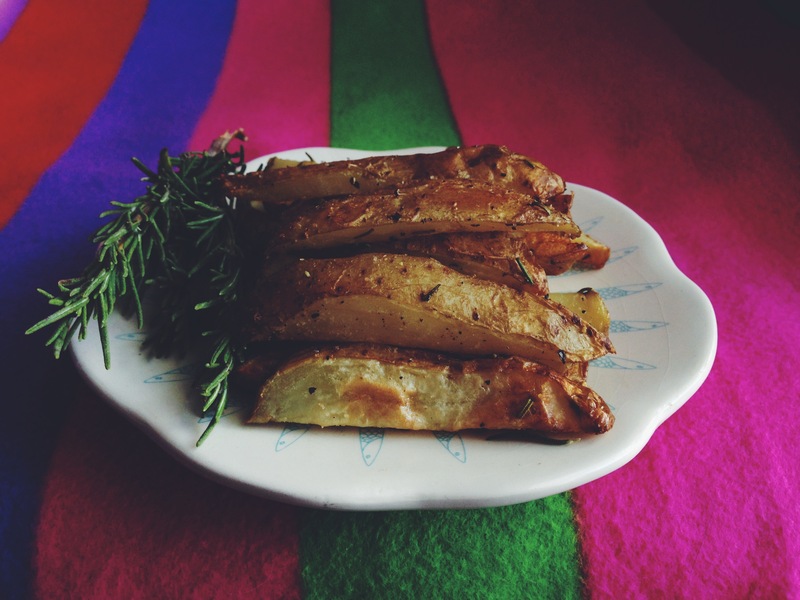 Rosemary is such a delicate, classy flavor that pairing it with something as hearty and simple as potatoes makes it a little more sophisticated! These are so simple and fast to make as well, with less than half an hour of combined prep/baking time! 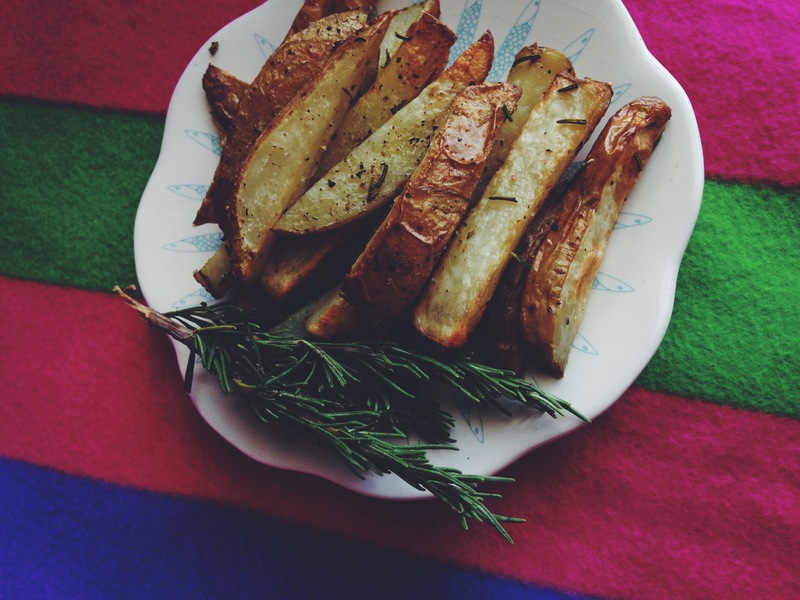 Preheat oven to 400 F. In a large bowl, combine the uncooked wedge fries with the olive oil and rosemary. Mix it up until all the fries are evenly coated. Spray a baking sheet with nonstick cooking spray and spread the fries out, covering the pan. Make sure the fries aren’t stacked on top of each other, so they cook evenly! Allow them to cool a bit before eating — I burned my mouth, but it was DELICIOUS! Even just looking at them seems to make me hungry. Thanks for the post.